Sometimes it is nice to get out and about. I’ve been doing some virtual visiting lately so I wanted to tell you of my travels. First of all I did a roundup over on Sew Mama Sew for their Handmade Holidays gift series. I collected a bunch of gifts to make related to outdoor entertaining and BBQs. In case you missed it, I also wrote a tutorial for a sleeping bag cover earlier in the year over there. Fun Family Crafts featured my Paperclip Angel Tutorial, a great craft for the kids to make for Christmas. Amy also included these angels in her 10 Christmas Decorating Ideas over at And Sew We Craft. 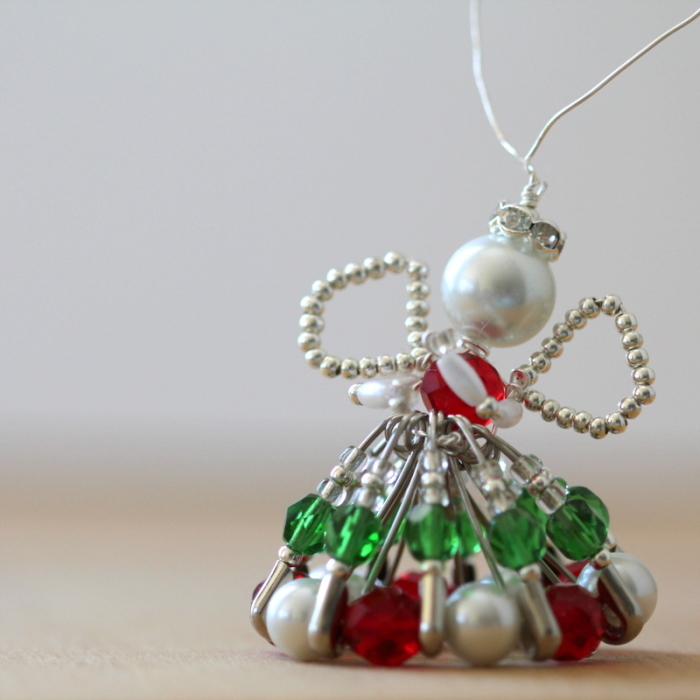 The lovely Mel at One Crafty Mumma featured my Beaded Christmas Angel in her collection the other day. There is a little interview with me over at Creative Style Hub – learn a little more about me. Meanwhile here at home I wrote my first PDF pattern to go on Craftsy – but you can get it for free if you sign up to my Weekly News. Finally I was feeling especially thankful last week for friends who brought us dinner – and this yummy dessert! – and a little milestone on Pinterest.